The front side of this apron is made from a vintage look chicken and rooster print. The stripes give the apron a look from the past. 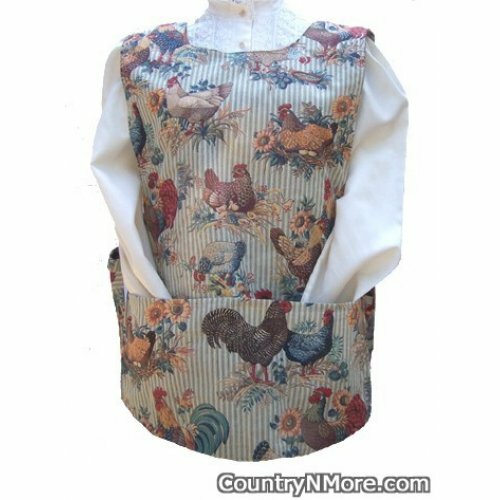 The reverse side is made from a more modern looking rooster print.Each apron is unique and may be different from the apron pictured. 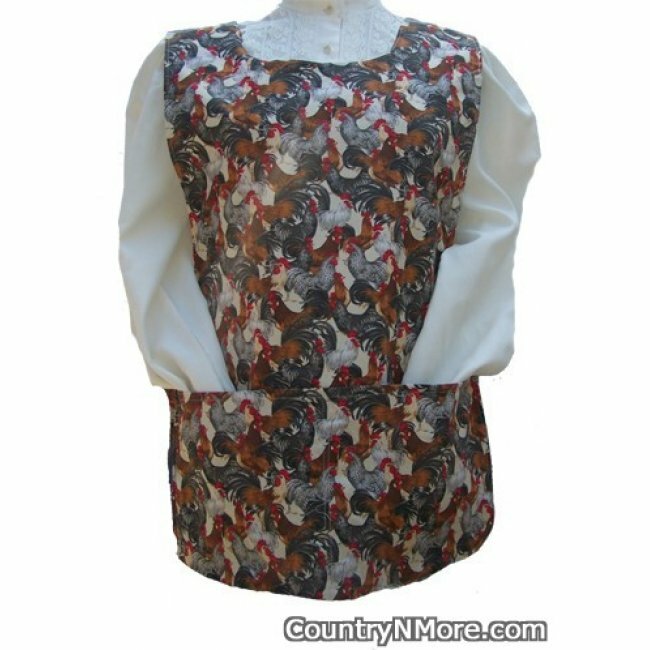 Each apron is made with the same wonderful prints.